You’ve found the perfect location to bring your yoga groups – Let’s get your planning started! 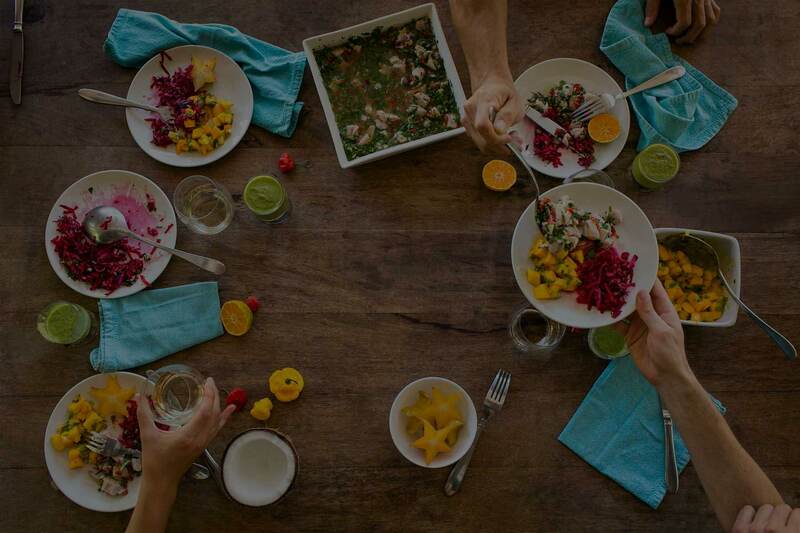 If you are organizing a Yoga Retreat for your students, an event, a family wedding, or just want to bring a large group of friends together, Blue Osa can provide you peace of mind in natural surroundings. 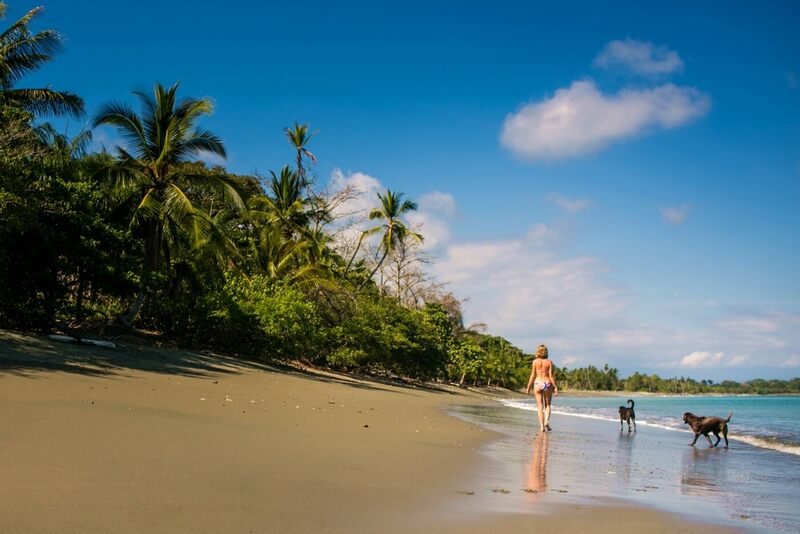 With easy access to the world-renowned Corcovado National Rainforest Park and situated on a private jungle beach, we provide the perfect opportunity for both tranquil beach walks and exciting nature adventures. Our award-winning open air yoga studio overlooking the ocean is a sublime place for doing yoga, leading group exercises, or giving presentations. The space has high ceilings and finished teak flooring to allow for great acoustics and optimal comfort. We offer comfortable facilities for up to 38 guests, 13 rooms with back up space, a full-service eco-spa, a yoga studio with ocean views, delectable farm-to-table cuisine and a friendly, dedicated staff. Click on CONTACT US to receive detailed information on specific group rates and to book your ideal retreat dates. Want to see more videos, click here! Book Your Group Retreat Now! “I have been running yoga and meditation retreats since 2005. 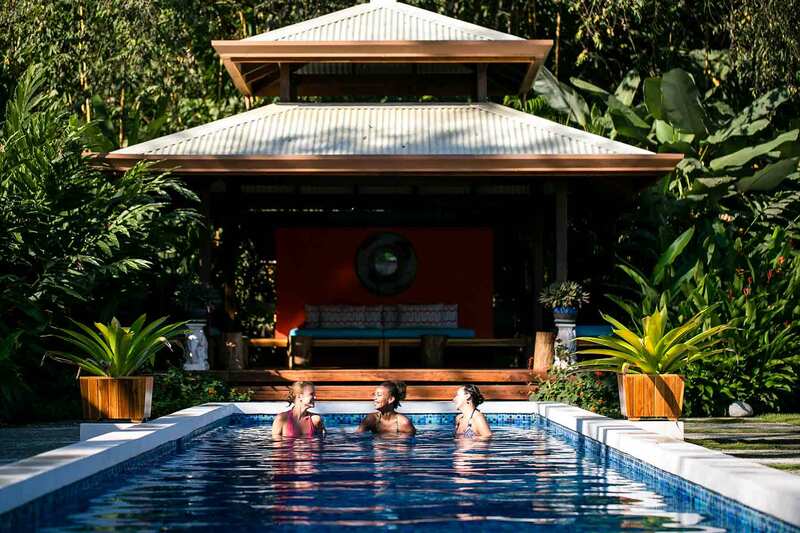 I have taken groups to multiple different retreat centers in multiple regions of Costa Rica. 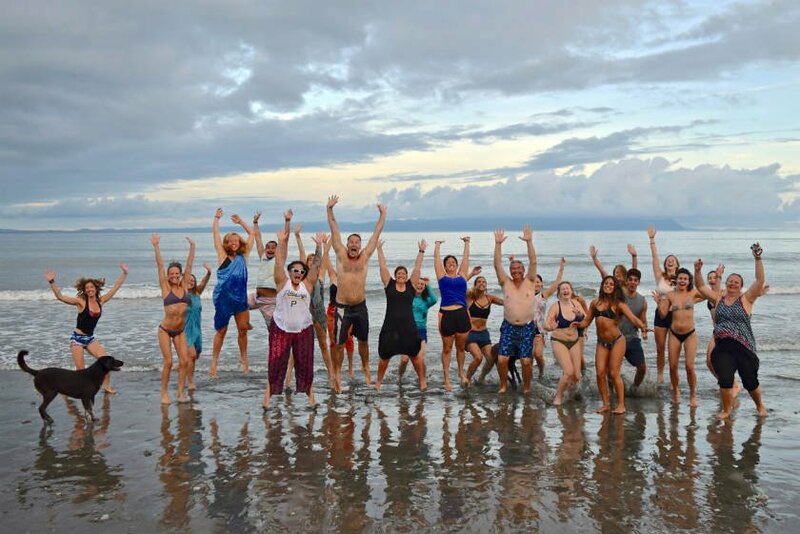 In Feb 2015, I took a group of 23 savvy retreat participants to Blue Osa. We all agreed will never go anywhere else in Costa Rica ever again! Adam is a professional designer and it shows in every exquisite detail of the structures and landscapes. Not only is the ascetic breathtaking, the energy flows so beautifully. There is lots of private and communal space. It’s truly paradise. Aaron is a master of hospitality, staff recruitment and training, (not to mention an absolutely incredible yoga teacher!) He lights up any space that he enters; he is a living embodiment of fearlessness and joy. The staff is incredibly friendly and supportive. All I can say, is that ANYTHING I asked for I got with a smile, and I got smiles from them constantly! This is by far the most “epic” outdoor yoga classroom I have ever been in. It’s on the second floor overlooking the ocean, fully equipped and has an amazing sound system. It is SO spacious with high ceilings and fans. My favorite practice space ever! omg…. fresh, clean, healthful, and oh so tasty. It is also presented with love by the amazing kitchen staff. Clean, elegant, stylish and perfectly comfortable beds! There is so much to do in this region and we had so much fun here!.. kayaking, chocolate tour, dolphin watching on a boat to an animal sanctuary (my personal favorite experience), waterfall repelling, zip-lining… the list goes on and on. Right next to the fabulous pool area, the Blue Osa Spa is simple and serene. The healthcare practitioners here are impeccably skillful and professional. My group had them booked the whole time! Once people had a massage, they wanted another one. I saw the acupuncturist twice and really benefited. The vibe is Pura Vida at it’s finest, “pure life!” – It’s kindness, compassion, peacefulness, acceptance, adventure, relaxation, delight, friendliness, courtesy, openness, uplifting, enjoyment, nourishment, joyfulness and sacredness. 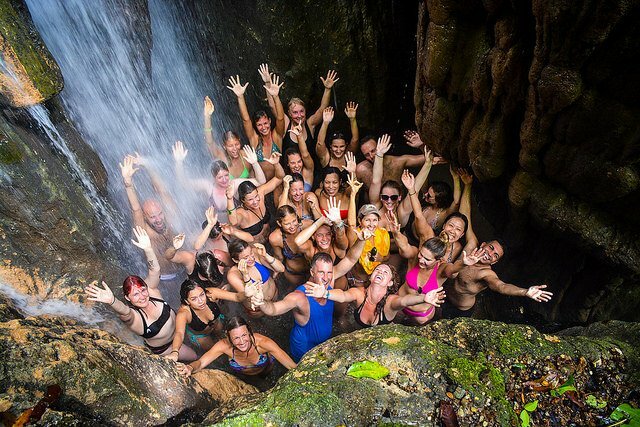 Why Bring Your Yoga Groups to Blue Osa? Bring your groups to Blue Osa Yoga Retreat and Spa and have exclusive access to our gorgeous teak yoga deck with sea views, chemical-free pool and our private, exclusive beach. • A dedicated yoga space with ocean views. • Direct access to a beach 50 meters from your bedroom door. • Farm tour – Blue Osa produces up to 50% of the food from our organic farm. Group retreats are typically booked from Saturday to Saturday. A group retreat starts after 5:00 pm on arrival date and ends by 8:00 am on the departure date with a check out time of 10:00 am. A group rate applies to those groups consisting of ten or more people. RATES FOR GROUPS upon inquiry, click here. Shared, single, and penthouse occupancy offered. Rates include lodging, four healthy farm-to-table meals (three meals and one midday snack), and snacks. Coffee and tea are available throughout the day. We will honor a group reservation once a contract has been signed and a deposit received. We look forward to seeing you here at Blue Osa. It is a gift for us to be in service to you. If you have any further questions that are not answered on the website please contact us.